Cologne is located on both sides of the Rhine River. The city's famous Cologne Cathedral is the seat of the Catholic Archbishop of Cologne. The University of Cologne (Universität zu Köln) is one of Europe's oldest and largest universities. Cologne was originally founded and established by the Romans in 50 AD, under the name Colonia Claudia Ara Agrippinensium. It was the capital of the Roman province of Germania Inferior and the headquarters of the military in the region until occupied by the Franks in 462. During the Middle Ages it flourished as one of the most important major trade routes between east and west in Europe. 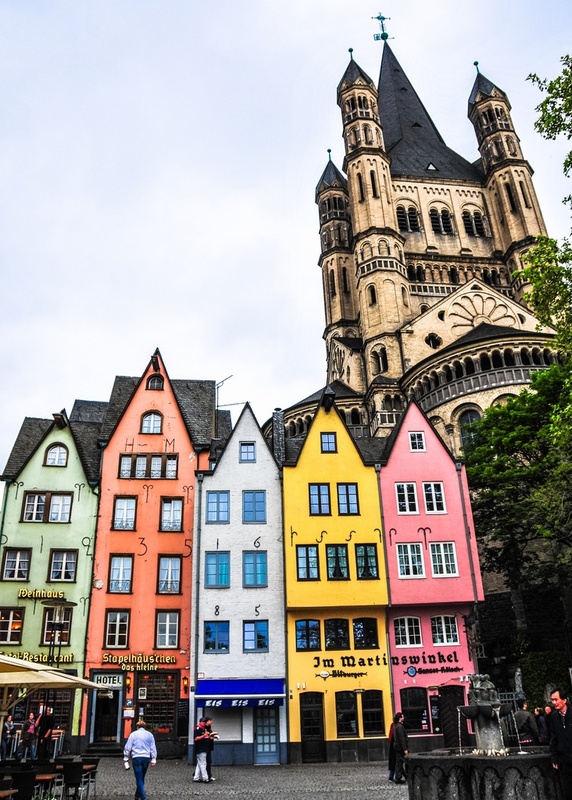 Cologne was one of the leading members of the Hanseatic League and one of the largest cities north of the Alps in mediaval and renaissance times. Up until World War II the city had undergone several other occupations by the French and also the British. Cologne was one of the most heavily bombed cities in Germany during World War II. The bombing reduced the population by 95% and destroyed almost the entire city. With the intention of restoring as many historic buildings as possible, the rebuilding has resulted in a very mixed and unique cityscape.